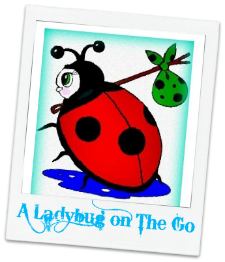 If you live in a cold weather climate, you know you've got to have a reliable vehicle to get you from here to there. Winter tires, traction control, and heated seats/steering wheels are not negotiable. 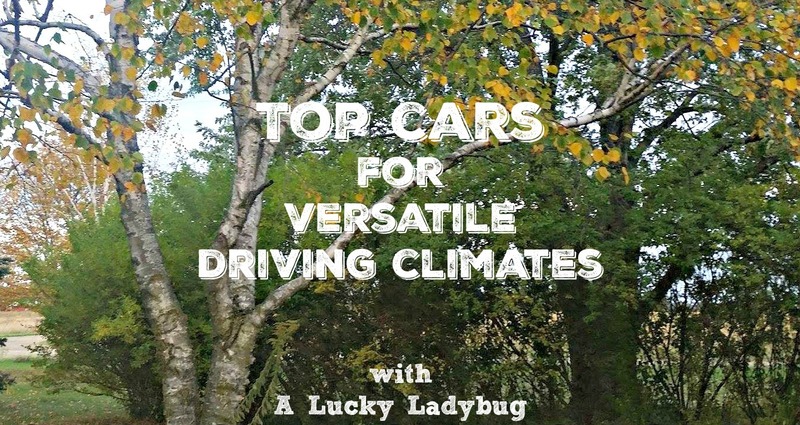 But if you live in a warm weather climate, you probably care more about a sun roof or automatic climate controls with things like a pollen filter. While Michigan weather has never been described as a warm climate and our state is more known for it's drastic winters, we are actually a very versatile climate. We can have 60-70 degree days in the middle of winter and snow can appear out of no where any given day. 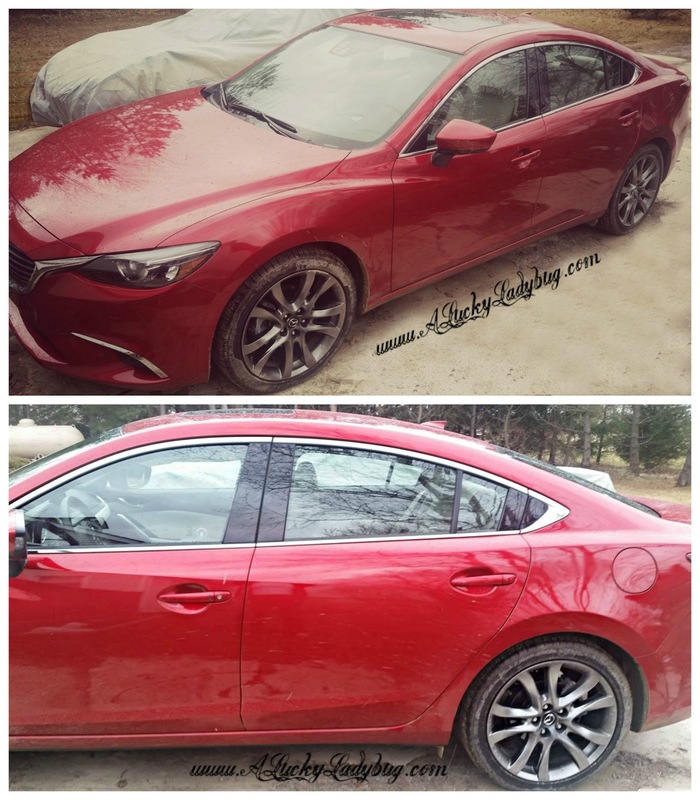 Having a car that easily transitions, is key here. Detroit aka "Motor City" is known as the auto capital of the world and perhaps that's for more reasons than one might think. With that being said, below are 3 cars you NEED if you live in a climate like ours and one's you'll WANT regardless of where you live! "THE CURE FOR THE COMMON DRIVE. Superior driving. Class defying. 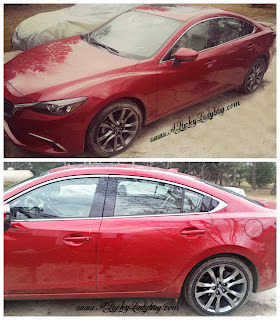 This is the 2016 Mazda6." The security and safety of this vehicle and all its features are absolutely fantastic. From the Rain-sensing windshield wipers which increase speed when heavier rains are detected to the Blind Spot Monitoring (BSM) System they seem to have thought of everything. There is a Smart City Brake Support system, Advanced front air bags, Front side-impact air bags, and side-impact air curtains. Being in the country, we really enjoyed having the High Beam Control which automatically turns the brights off when an oncoming vehicle is detected AND when approaching a stop sign. Driving with the high beams on happens anytime it's dark out here! Not only is this a brand which has your safety in mind, they also want you to feel the luxury of a superstar! This one handled pretty well in the snow (approximately 2" on the ground during drive) and would have done even better if it had it's intended winter tires on. The kids enjoyed the sporty look, not having to drive in an "old persons" car as my teenager would say, and we enjoyed the features, safety and room it provided our family with (all while feeling a bit younger driving it too)! 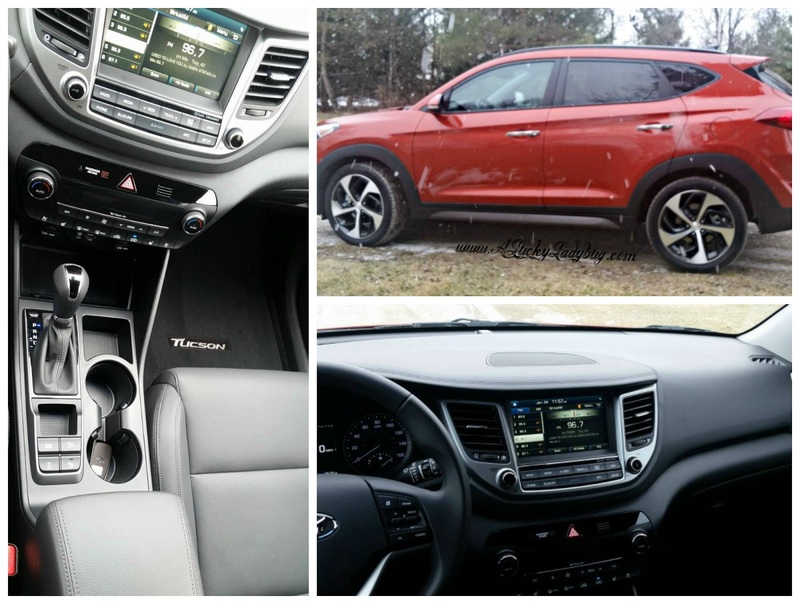 "Tucson offers the exciting style and versatility you're looking for in a crossover." The 2016 Hyundai Tucson Limited AWD has some really awesome features that I personally was pretty impressed with. 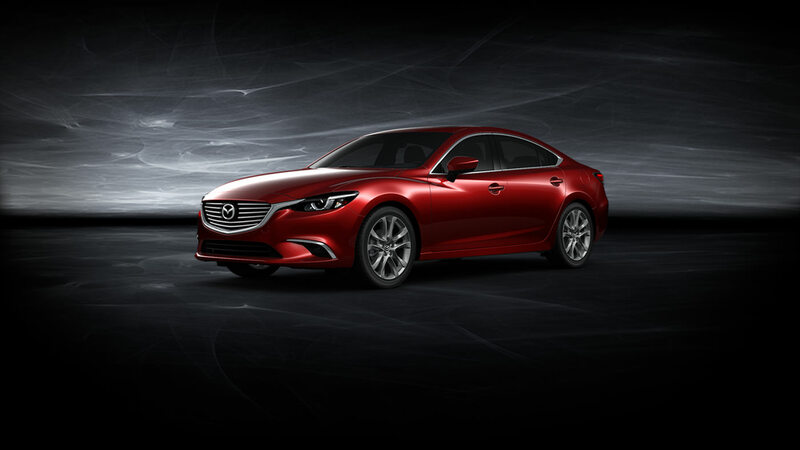 These include Automatic Emergency Braking System with Pedestrian Detection and Lane Change Assist. The vehicle knows what is safe before you do. Predicting safer lane changes and keeping an eye out for approaching vehicles or pedestrians for safer stops. This crossover is unlike any other I've experienced. 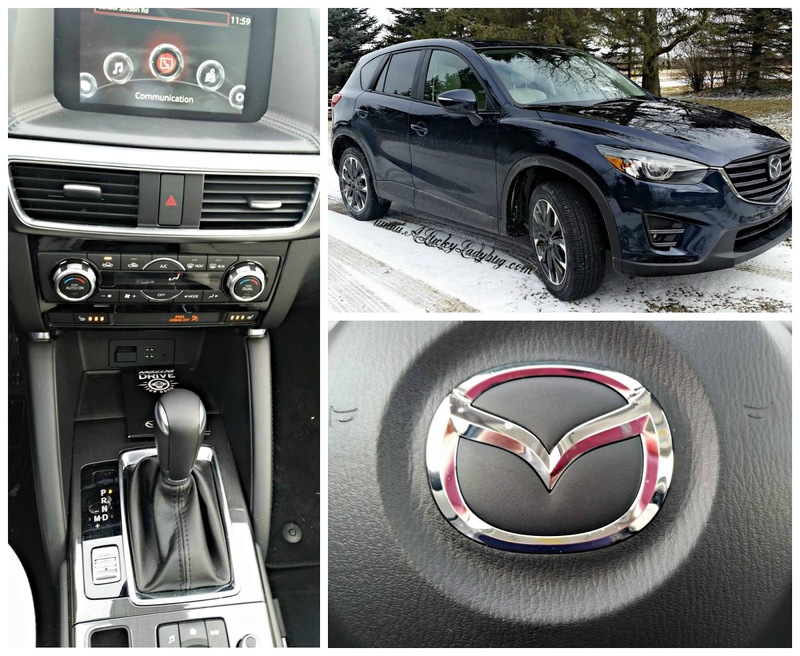 As if it's speed and quick pick-up didn't already have you convinced, the panoramic sunroof has you feeling like your driving a sports from the inside. The cargo area has more room and special features like the storage tray or retractable hook to store every bit of gear you can imagine. Also included in our model was both heated and ventilated front seats. As I mentioned before, the weather here is so unpredictable that in the week we had this vehicle, we were able to use both the heat and cooling on the seats! This one handled fairly well in the snow (approximately 3-4" on the ground during drive) although, I'd recommend taking sharp turns very carefully or definitely a winter tire. "THE OVERACHIEVER OF ITS CLASS. SUPREMELY CAPABLE. BRILLIANTLY ENGINEERED. AND NOW EVEN MORE METICULOUSLY REFINED. MEET THE 2016 MAZDA CX-5." When I think SUV, I don't usually think sporty. I feel like most of the SUV's I've driven are stylish but made for more size and convenience not "flash". Even though this SUV looked smaller on the outside, there was a ton of room once we jumped inside. The 2016 Mazda CX-5 has some really awesome interior features which compliment it's sporty outside look. This was by far our favorite of the three vehicles! The seating is perfect for my family of 5 with tons of cargo room. Fit gear or groceries easily or fold down rear seat back for even more space. We were huge fans of the Bose® Centerpoint2® Surround Sound audio system with AudioPilot and 9 speakers. Being such a musically motivated family, the quality sound and display was awesome for drives to work and listening to the sports games. You can rest assured you and your family are very well protected when driving in this vehicle. 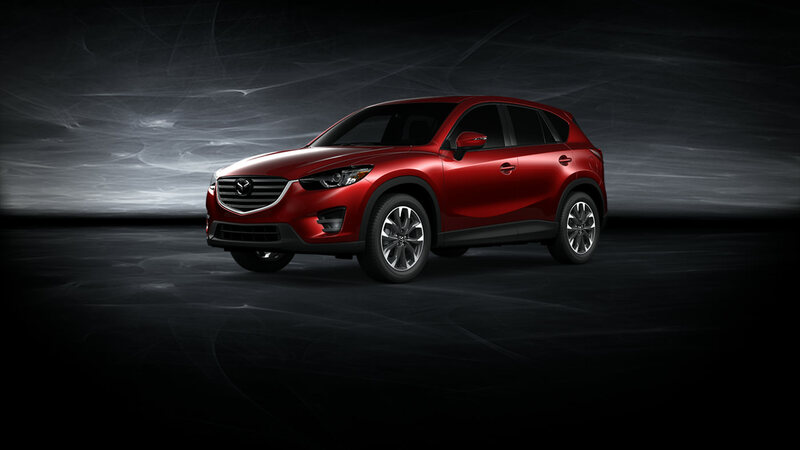 I really can't say enough great things about the 2016 Mazda CX-5! I have to tell you this is one sharp car! The sporty look gave me the opportunity to feel like I was driving one of my "younger" vehicles again all with the safety which is a necessity now with kids. This one handled extremely well in the snow (approximately 2-3" on the ground during drive).